StopFake is – as the name suggests – a media project which tries to stop “fake news” and disinformation. Among other actors in the field of pushing back on pro-Kremlin disinformation, StopFake has a special status. Since its start in Kyiv in 2014, StopFake has focused on debunking disinformation targeting the team’s home country, Ukraine. 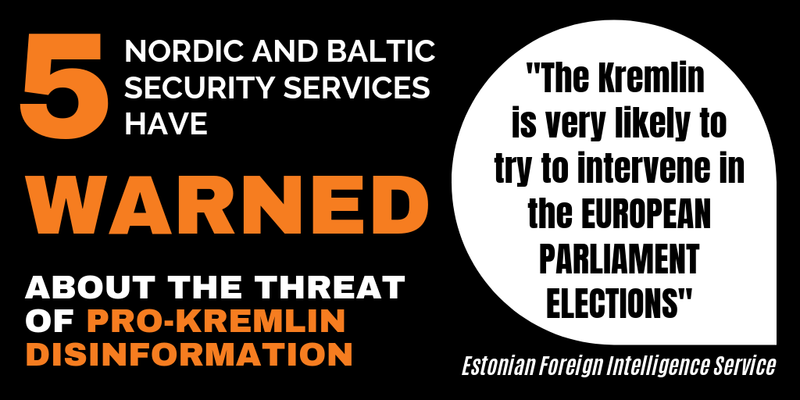 Following Ukraine’s 2014 revolution, the Kremlin has used disinformation systematically as a part of its ongoing aggression against the country; so Ukraine has had a particularly intense experience with the disinformation problem and, very much thanks to StopFake, a particularly rich experience in addressing this form of hybrid warfare in real life. 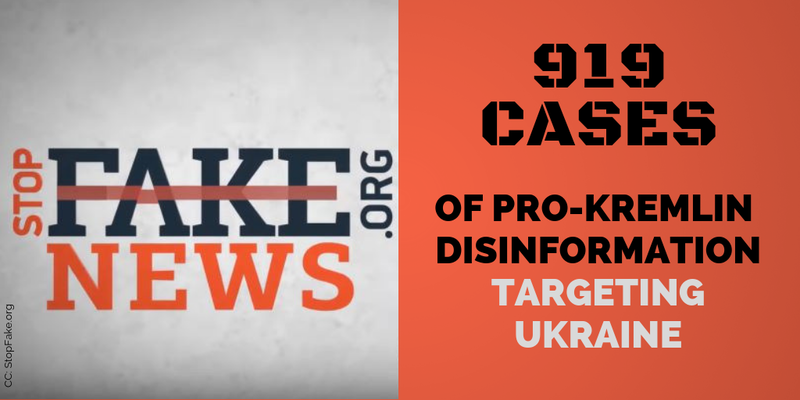 Now the StopFake team has found time to take a look back and analyse the first three years of its operations 2014-2017; a period during which the team managed to identify, debunk and analyse a total of 919 individual cases of pro-Kremlin disinformation targeting Ukraine. A central element in StopFake’s evaluation conclusion is the quantification of the sources of the disinformation. Which are the outlets that have most systematically been spreading disinformation targeting Ukraine? It can probably come as no surprise that the outlet with most anti-Ukrainian disinformation turns out to be Russia’s Defence Ministry’s own media outlet, Zvezda (which translates as The Star). We have described Zvezda and its place in the Russian media scene in a separate topical article. The fact that Zvezda comes in first illustrates the tie between Russia’s military operations against Ukraine (the annexation of Crimea, the conflict in the country’s east) and the battle over hearts and minds, in which the Kremlin has weaponised disinformation, using outlets such as Zvezda. Image by StopFake showing the most frequents sources of anti-Ukrainian disinformation in the period 2014-2017. StopFake has also identified other state-controlled Russian outlets as spreading large volumes of disinformation about Ukraine. Among them are: the news agency RIA Novosti; large TV channels such as Rossiya 24, Rossiya 1, NTV and Channel 1 (in Russian: Pervy Kanal) plus, of course, RT (Russia Today). A Russian outlet with focus on Ukrainian affairs, Ukraina.ru, has also had a high number of disinformation cases. Ukraina.ru is a part of the Kremlin-owned Rossiya Segodnya media group, where we also find RIA Novosti and the international propaganda outlet Sputnik. Given its special experience with the disinformation problem and its early reaction to it, StopFake has set the trend for a number of related initiatives, which appeared after StopFake went live. 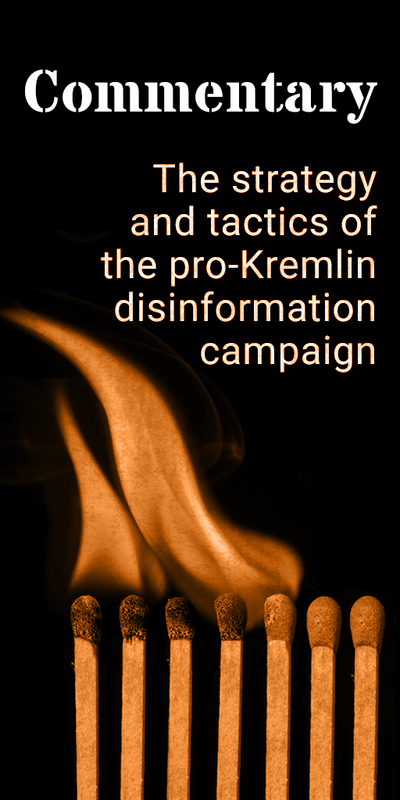 The aim of this kind of work is to raise awareness of the disinformation problem, whereby audiences’ critical senses will be strengthened next time they face one of the sources that distribute disinformation.